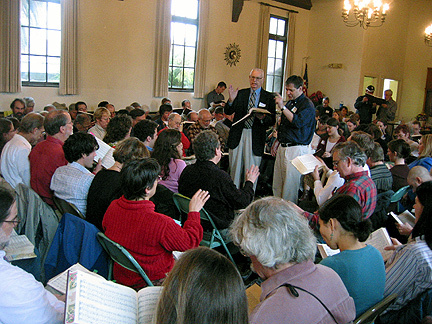 Sacred Harp singers face each other in a “hollow square” formation with each voice part on one side. Song leaders stand in the center facing the tenor section, where the melody is usually found. Every singer may lead a song. Most lead 1 or 2 songs during their time in the center of the hollow square.